Feeling the need for some cultural enrichment? Craving the flavours of traditional Italian cuisine? 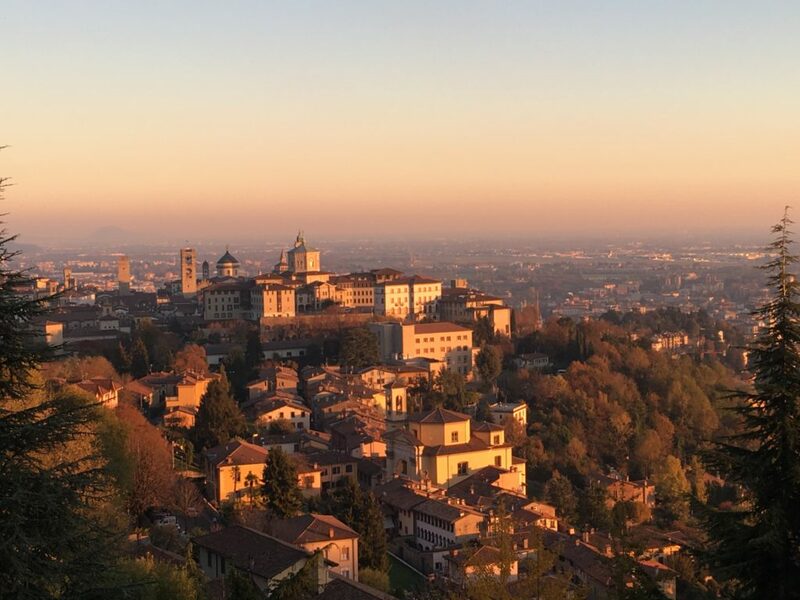 Why not head to Bergamo Italy for the weekend? An enchanting and picturesque city distinctly divided into two. The older, historic medieval Città Alta or Upper Town perched elegantly on a hill, and the more modern, lively and bustling centre of Città Bassa, the Lower Town, at its feet. A pocket-size destination that bundles UNESCO World Heritage, original recipes, an internationally renowned composer and numerous artworks into a walkable radius. The most beautiful (and practical!) way to visit Bergamo is on foot, so put on a pair of comfortable walking shoes and prepare to be catapulted back in time to the Middles Ages. Make your way to Piazza Vecchia, the beating heart of the Upper Town. Its centre piece is the Contarini fountain, a gift from the Venetian Doge Alvise Contarini. With the main street behind you, you are faced with the elegant Palazzo della Ragione, to the right is the Palazzo del Podestà and the soaring Campanone Bell Tower. At 10pm every evening the bell rings one hundred times, puncturing the tranquillity, echoing throughout the city. Historically the chimes signified the closure of the gates into the Venetian Walls, nowadays it’s just a reminder of the past. For an unparalleled panorama climb to the top of the Campanone, either with the lift or for those feeling particularly energetic a staircase also leads you skyward. Once at the top, relish a 360-degree vista over the entire city, plain and surrounding pre-Alps. On a clear day, the view stretches all the way to the Milanese skyline and the Apennine mountain range. After descending the tower and turning right you’ll find yourself in Piazza Duomo, home to an exquisite quartet of structures, the Santa Maria Maggiore Basilica, the Colleoni Chapel, the octagonal Baptistery and the Cathedral. The Basilica’s rich Baroque interior decoration includes wooden inlays by the renowned Lorenzo Lotto together with plentiful tapestries and frescoes. The Basilica also contains the tomb of the internationally renowned Bergamasco composer Gaetano Donizetti, whose childhood home can be visited in nearby Via Borgo Canale. The Colleoni Chapel with its stunning red and white marble façade is the final resting place one of Bergamo’s most powerful leaders, Bartolomeo Colleoni. Don’t forget to rub the golden effigy on the entrance gate for good luck! To the left of the square is the Cathedral. While it has a much plainer interior compared to its neighbour, the magnificent Cathedral contains paintings by Giambattista Tiepolo and Giovan Battista Moroni. Sightseeing can certainly build up an appetite, for some traditional Bergamasco fare meander back through Piazza Vecchia to the main street and into the welcoming doors of Ristorante Sole. This cosy, family-run establishment offers a plentiful menu but opt for something typical such as the casoncelli pasta or golden polenta with either stew, rabbit, goat or mushrooms. Hold off on dessert however, and after lunch stroll along Via Colleoni, locally known as the “Corsarola”. Pass through Piazza Mascheroni and Piazza della Cittadella until you get to La Marianna Patisserie which sits to the right you will see Porta Sant’Alessandro, one of four entrance gates into the historical Venetian Walls. It is here where the famous “Stracciatella” ice cream flavour was invented in 1961. Enrico Panattoni gained inspiration from a broth based soup with a beaten egg with the same name, and applied similar principles with a milk flavoured ice cream and melted dark chocolate. He found that the chocolate coagulated as it hit the cold temperature and solidified. And thus, the Stracciatella was born. A must try for anyone visiting Bergamo! Ice cream in hand, now it’s time to walk the Venetian Walls that gained UNESCO World Heritage status in July 2017. 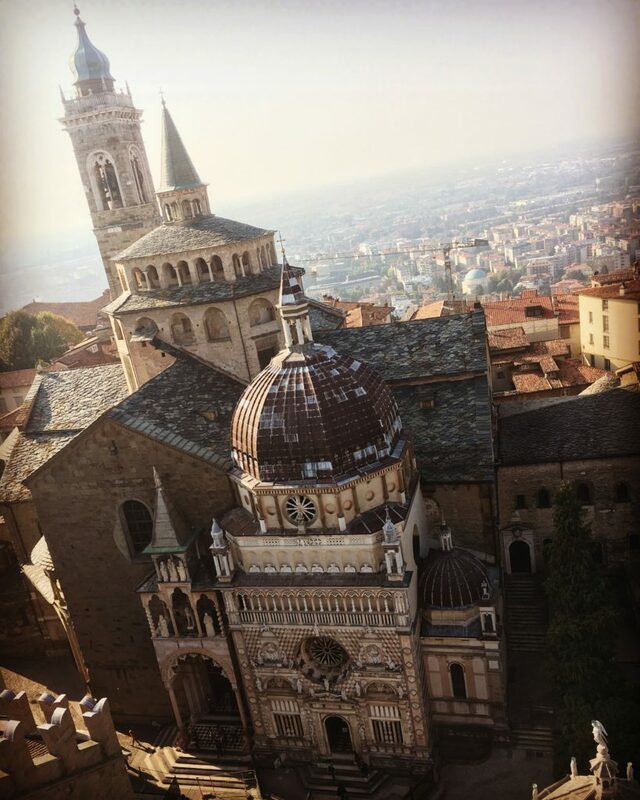 Stretching for over 6km, they embrace Bergamo’s Upper Town in a history-filled hug. Offering a spectacular view over the lower town and surrounding hills, they were originally built to protect the city from enemy attacks. Pass by the majestic white Porta San Giacomo and continue all the way downhill until Porta Sant’Agostino, now the main access gate for car traffic into the upper town. Passing through Porta Sant’Agostino continue moseying along the grandiose Viale Vittorio Emanuele admiring the stately villas on either side until you arrive at Sentierone, the beginning of the main artery of lower Bergamo’s fashion and social life. Stop off for an espresso and check out some local boutiques or just relish the sound of busking accordion players and the high fashion locals taking their evening passeggiata. Once in Piazza Pontida, a popular local hang-out, try to nab an outside table at Tassino and watch life go by with a spritz in hand for a true Italian aperitivo experience. Make your way back to the Upper Town using the historical funicular, connecting the city’s two poles for over 120 years. The next day, get ready for some art appreciation. Via San Tomaso is home to Bergamo’s artistic core. On one side, you’ll find the Accademia Carrara, one of Italy’s most important picture galleries, containing significant artistic heritage, including painted masterpieces by Botticello and Raffaello as well as a rich collection of sculptures. Across the way, jump back to the present day at GAMeC, Bergamo’s contemporary art gallery. No trip to Italy would be complete without a pizza. Back in Via Colleoni, Da Mimmo’s exposed brick dining rooms are the perfect place to sink your teeth into a wood-fired pizza. 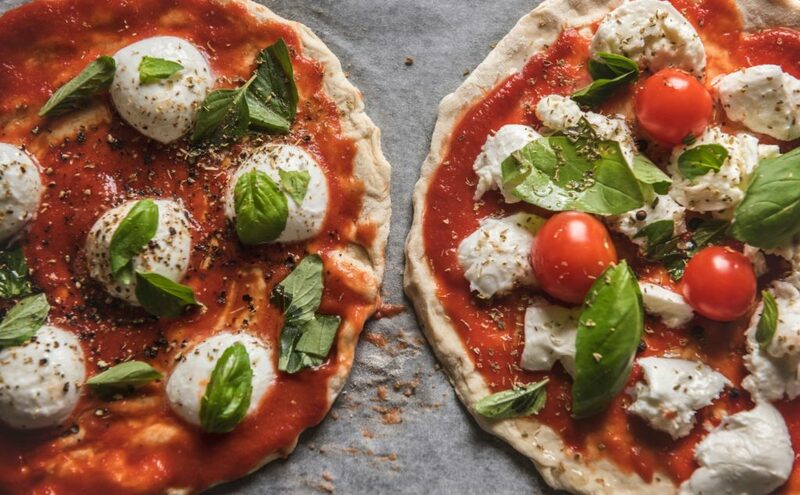 Whether you are after a simple Margherita or prefer some freshly sliced salami or even pieces of swordfish, the pizza menu has something for everyone. To make the most of your final afternoon, walk through Porta Sant’Alessandro and take the city’s second funicular up to San Vigilio hill. Here, the San Vigilio Castle sits almost 500m above sea level and is the remains of strategic fortification, previously used for the city’s protection. Nearby are a couple of cafes offering impressive city views, or if you’d prefer some greenery before take-off, walk around to the Belvedere café for a spectacular view over the valley.